French Museum Discovers More Than Half Its Collection Is Forged The gallery dedicated to the work of artist Étienne Terrus underwent a six-figure renovation only to find that 82 of its paintings are fakes. 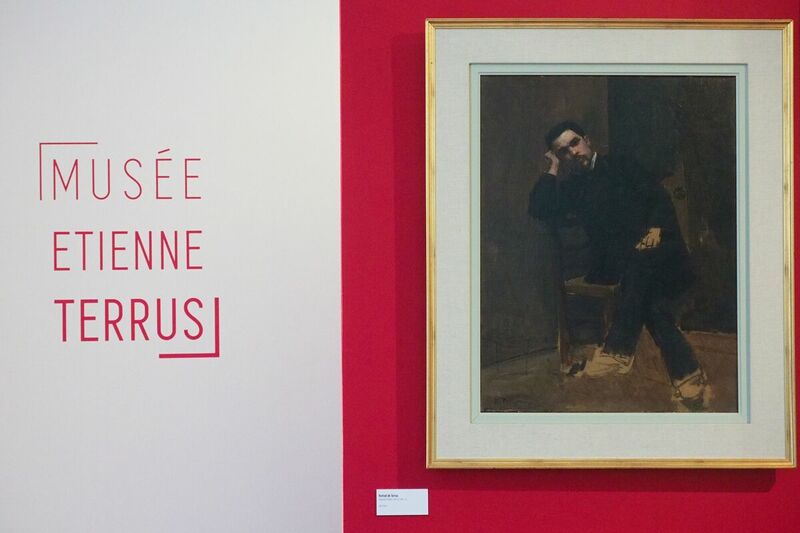 While in the process of a major renovation, the museum in Southern France dedicated to artist Étienne Terrus — whose self-portrait at the museum appears here — discovered that 82 of its paintings are fakes. A museum in Southern France has discovered more than half its collection of paintings thought to be by a celebrated local artist are counterfeit. And investigators say that works attributed to other regional artists could also be fakes. The quaint French village of Elne near the border with Spain is proud to be the hometown of Catalan painter Étienne Terrus. He was a late-19th-century artist who specialized in local landscapes and was friends with the painter Henri Matisse. "Following this, we nominated a commission of experts who can say with enough evidence that more than half the museum's collection was fake," Barniol said. Forcada, the art historian who first sounded the alarm, noticed buildings that appear in some of the paintings didn't actually exist in Terrus' time. One counterfeit painting portrays a building constructed in 1958. Terrus died in 1922. The town spent an estimated $200,000 over 20 years acquiring the works. In some cases, the museum was easily fooled. "There are several types of fakes in the collection," Forcada says in translation. "There are some that were taken and just signed posteriorly with Terrus' name, and others that were made expressly to look like Terrus' work." Marthe-Marie Coderc, president of the local association Friends of the Terrus Museum, has dedicated years to raising money to buy paintings for the collection. She said members feel bad because so many people donated to help bolster the collection. "Maybe we were a little naive to not have looked closer at the origins of these paintings," Coderc says. The remaining 52 paintings in the museum's decimated collection have since been authenticated. The town has filed a formal complaint for forgery and fraud in hopes the crooks will be caught, but they haven't yet named the alleged forgers to the dealers. Police have seized the Terrus fakes and have opened an official investigation. Police also say the scam could be the racket of an even larger network, where paintings attributed to other southern France artists could also be phonies. These regional artists, like Pierre Brune and Balbino Giner, they say, are easier to fake than the well-known masters. Art experts estimate that at least 20 percent of paintings owned by institutions — either on display or in their vaults — could actually be the work of someone other than the purported artist. "As art historians we ask ourselves how to discern real from fakes in future generations," Forcada told French TV. "The Terrus case allows us to make a first pass at cleaning up this totally corrupt market."